Current medical studies support the importance of drinking water and reveal that chronic dehydration is associated with developing diseases of the heart, lungs, and kidneys as well as cancers of the bladder and colon. Not drinking enough water is also linked to developing urine infections, kidney stones, eye cataracts and dental caries. Dehydration has also been shown to predispose an individual to suffer from heat stroke and falls which break bones. However, these medicals studies prove dehydration causes numerous medical conditions also link poor water intake to multiple unhealthy behaviors like eating a lot of fast food, infrequent shopping at farmers markets and consuming little amounts of fruits and vegetables. Also, it is also known that persons, who spend a lot of time exercising and consequently have low disease rates, also tend to drink a lot of water. It, therefore, becomes tricky to determine the true relationship between drinking water and developing diseases. Studies which can be done to establish this relationship are unlikely to be funded since water cannot be patented. However, a few studies do exist that can help us understand whether people first become sick and then begin drinking a little water or whether they first begin drinking a little water, and then they become sick. One such study was done by Harvard Medical School which revealed that drinking an extra cup of fluid each day reduced the risk of developing bladder cancer by 7%. These findings lead to the conclusion that drinking 8 cups of water each day of the week can lower the chances of a person developing cancer of the bladder by almost 50%. 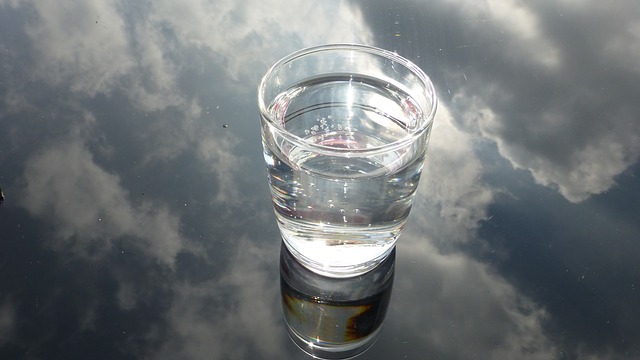 Another Study, the Adventist Health Study which involved 20,000 men and women who were following both omnivorous and vegetarian diets, found that participants who drunk 5 or more glasses of water each day had almost half the risk of succumbing to cardiac diseases when compared to those who drunk 2 or fewer glasses. This Adventist Study had controls for influencing factors like diet and exercise just like the Harvard one. A conclusion can thus be drawn that the heart health benefits were achieved by reducing the viscosity of blood and making it thinner. Currently, the US Institute of Medicine, the World Health Organization, and European authorities advocate that water intake from all sources should be 8 to 11 cups of water each day for women and 10 to 15 cups for men. These recommendations change to 4 to 7 cups a day for women and 6 to 11 cups for men when we take into account that a person gets around 1 liter each day from the food they consume and the water their body makes. Marian Kimai MD is a medical doctor and freelance health writer specializing in conventional medicine, alternative medicine and allied fields.